Treat yourself to a moment of fulfillment. 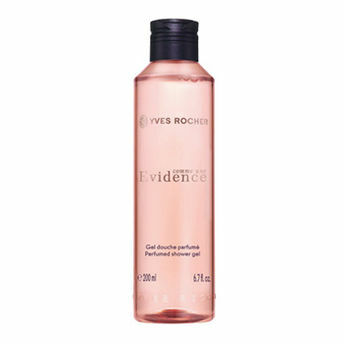 Under your shower or in your bath, this perfumed shower gel is a rediscovery of all the harmony and elegance of the green floral and Chypre notes of Comme une Evidence eau de parfum. Enriched with Organic Cornflower Water, this delicate formula wraps the body with its light foam. It leaves your skin delicately perfumed and imbued with natural, refined elegance. The Plus: it respects the natural balance of the skin. Paraben free.